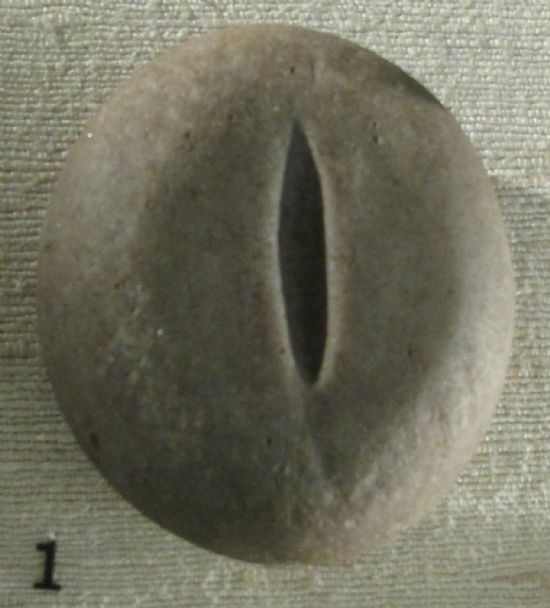 This small stone object with a groove is probably a strike-a-light. It was found at Meall Leac Araidh in Glengarry, and given on loan to the West Highland Museum in 1928 in Fort William where it is currently on display. Thus far the placename has not been identified. Similar objects have been found on Bronze Age and Iron Age sites, including Iron Age broch sites in Scotland. For example, a similar example was recently found during the community excavations at at Nybster Broch. 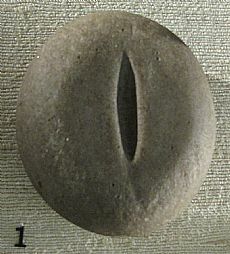 The pebble would have fit into one hand, and have been struck, perhaps with an iron object or flint, to create a spark. Before metal, it would have been necessary to use stone to strike against stone and experimental archaeology has shown that this is not easy! Sparks could also be created rubbing wood against wood, including using a wooden bow drill. Visitors to the Scottish Crannog Centre at Kenmore in Perth-shire can try their hand at this technique.